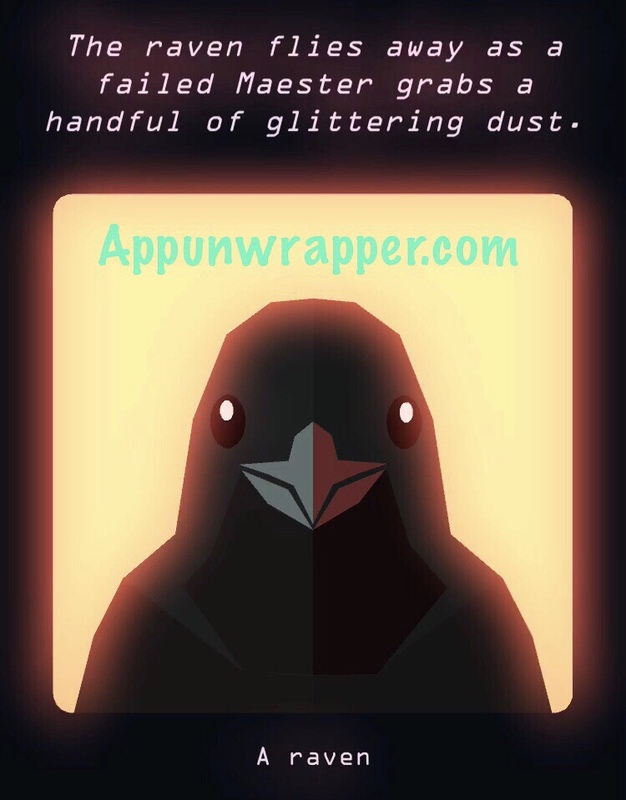 Raven clue: The raven flies away as a failed Maester grabs a handful of glittering dust. You should get a raven from Daenarys. 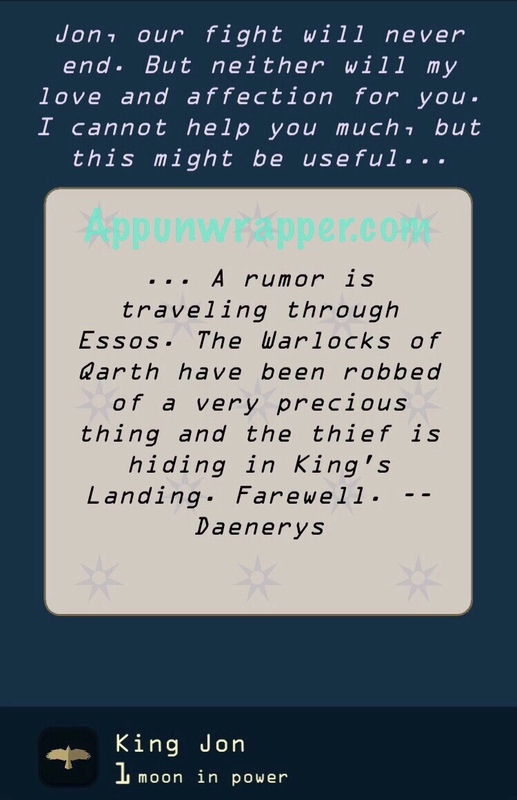 Read it and you’ll learn that a thief stole something very precious from the Warlocks of Qarth and he’s hiding in King’s Landing. The next part isn’t so obvious unless you’ve seen it before and remembered doing so. I stumbled across it by accident. But anyway, you need to get to the tavern. You can do so by starting a small council and then talking to the Master of Whisperers. Or just follow him when he says he’d like to talk to you in private. Once at the tavern, ignore all conversations (Stop listening) until you see the Pirate. He mentions finding a great wonder in Qarth! He’s your man! Keep listening to him. 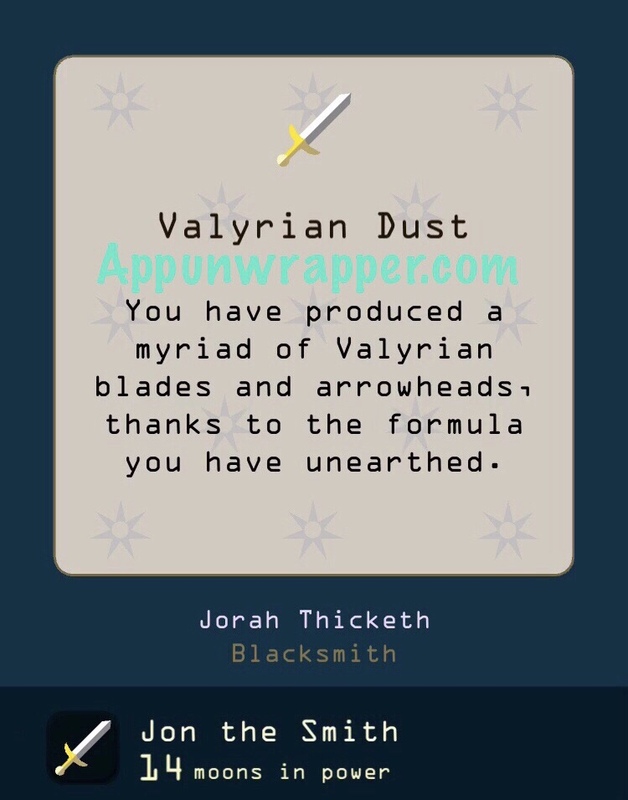 He mentions a powder that can be turned into Valyrian steel (remember the glittering dust from the raven’s clue?). Keep listening until he says, “Only a King could buy such a secret.” Choose “Pardon me…” and you’ll buy the powder. Back in the Throne Room, Samwell Tarly will offer to study the powder. He’ll leave for a while and eventually show up again with the proper recipe to forge Valyrian steel. Ask the blacksmith to forge it for you and he tells you he’ll have it ready in eight moons. So now you need to survive eight moons. If you do so, he’ll return with the Valyrian Dust / Steel. Now just live long enough to see winter and die during Winter. Use the Valyrian steel to defeat the White Walkers. You’ll survive winter and get to see Summer. On your next death, Jon’s raven will be replaced by some more red leaves. Click on the character you need below or click here to continue to Cersei’s ending.